The Newark Baptist Temple was founded, August 5, 1962. Charles Vaden felt the Lord leading him to start a fundamental Baptist church in the Newark area. The church was organized with twelve charter members in the Benjamin Franklin Jr. HIgh School auditorium where services were held until September 1964. During those two years, the attendance grew to around 160. many were won to the Lord during this time of Growth. In July of 1963, Rev. Don Ringer came to pastor the church. It was soon apparent that more space would be needed. The church began making plans to build on seven acres of land that had already been purchased and located in heath. The project was completed and the new church facility was dedicated to the Lord on November 15, 1964. 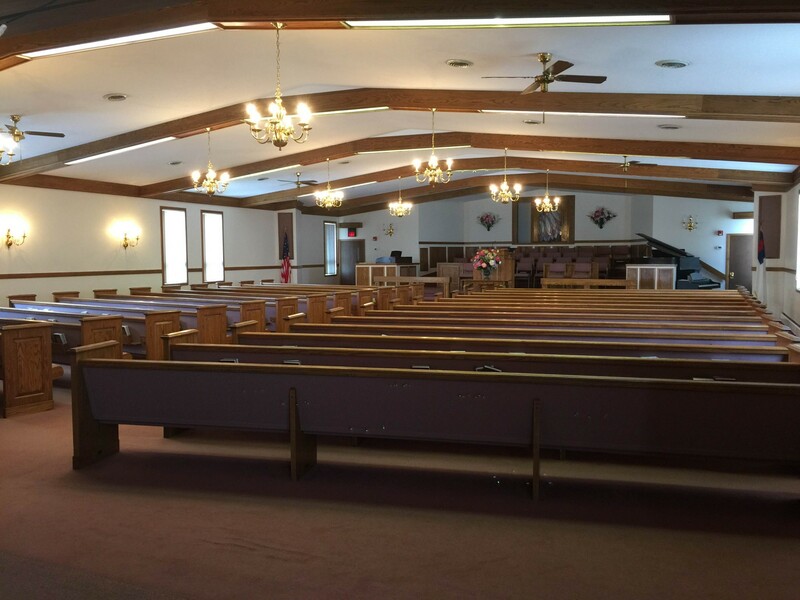 The church, which had already been incorporated with the state of Ohio under the name Newark Baptist Temple, was no longer in Newark but in Heath. The church decided to keep with the original name because the church would be ministering to all of the community and all of Licking County. In 1968, Pastor Ringer felt the Lord leading him in another direction. Dr. Dallas Billington, pastor of the Akron Baptist Temple, played a large part in founding and establishing Newark Baptist Temple. Dr. Billington contacted james Dennis, a then 25 year old pastor in Michigan, and asked if he would pray about coming to Newark to continue the work that God had begun. Pastor Dennis and his wife, Linda, came to Newark in October of 1968 with a burden to win the lost to the Lord and build the believer in the most holy faith. Forty-six years later, the church continues to be a lighthouse in the community to the glory of God. In 1972, after much prayer, counsel, trial, and perseverance; Licking County Christian Academy was founded. The deacon board and Pastor Dennis were greatly used of God in pioneering the Christian school movement in the State of Ohio in the early 1970's. Licking County Christian Academy has always had open enrollment and is now 42 years strong in Christian education reaching out to the community and beyond. Upon the retirement of James Dennis in 2014, the Lord brought Mark Falls from Tuscaloosa, Alabama, as pastor to lead the varied ministries of Newark Baptist Temple. For His glory, the Lord continues to extend the Gospel influence of this congregation. We stand in awe of His faithful work in our midst. We eagerly anticipate the eternal impact that will yet be wrought in this place and in the regions beyond Heath, Ohio, as we humble ourselves under His mighty hand.